At Pangaea Carpets our ethical and friendly non-traditional approach will help to educate you about finding the perfect area rug for your space. You don’t have to be an Oriental rug expert but you should understand what you are paying for. We don’t rely on the “games” that have made buying handmade carpets less than an enjoyable experience and ultimately, a wise investment. You will not see half off sales, inflated prices greatly reduced, or inventory clearance techniques, but you will meet someone who wants you to understand the value of the area rug you are buying. Our vision is to provide you with an affordable source for the most unique rugs available in the world today. We carefully select Carpets, Rugs and Kilims that impart timelessness and quality to any room. We sell value, but getting what you pay for is only part of the equation here. The sense of joy and history communicated through an authentic handmade carpet is a truly sublime experience. We pride ourselves on current events and knowledge of world trade. Pangaea Carpets never conducts business with individuals or businesses known to employ child labor or substandard working conditions. We continually strive to support our vendors, their culture and even visit their weaving centers throughout the world. All weavers represented her are certified by GoodWeave. 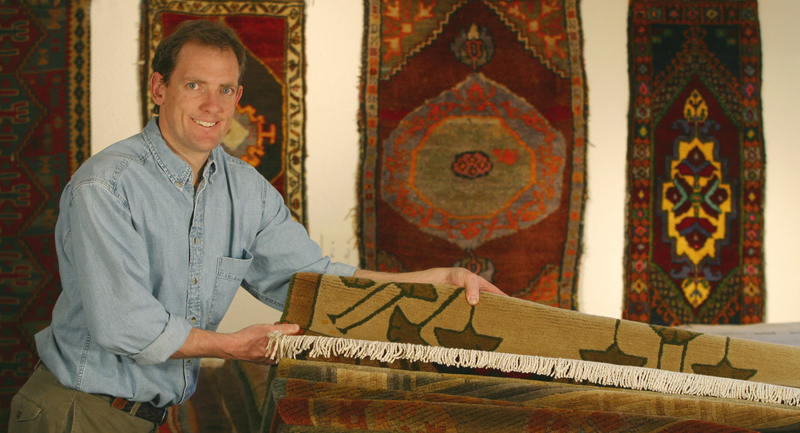 You can also find information about the art of rug making at Rugmark. Our carpets are 100% organic and made with fully sustainable and environmentally friendly practices. Visit our Denver Post business focus write up on owner T.